Silodrome Gasoline Culture wrote a great article reviewing some of our stills. If you get a chance, click to read the article. Since alcohol was first produced for human consumption, brewers and distillers have known that properly aging spirits can enhance their quality considerably. When you buy a wooden whiskey barrel from Deep South Barrels, you’ll feel this history immediately. We handcraft our products using 100% domestically sourced American white oak. All barrels are built by our expert cooper in the traditional style — without nails, glue or other modern production techniques. If you’re ready to get aging liquor at home, do it right the first time. 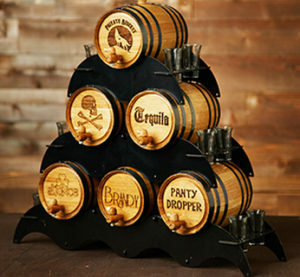 Deep South Barrels products deliver the quality you need for a superior product, time after time. Click to read more.